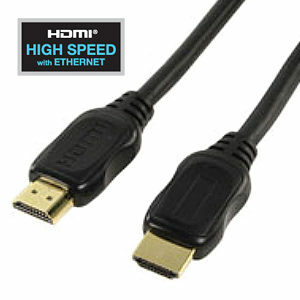 15m HDMI Cable - Gold Plated High Speed with Ethernet, HDMI to HDMI. HDMI Splitter 4 Port with 3D Support Allows an HDMI signal to be displayed on 4 TVs simultaneously. Duplicates an HDMI source to 4 outputs without signal loss. 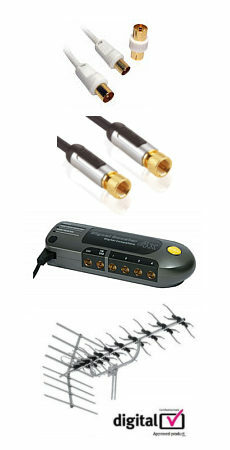 Supports HDTV resolutions 480p to 1080p. Supports 3D over HDMI. Supplied complete with UK specification power supply.